These come together in a snap once you have the onions and toast rounds made. Great for a party! 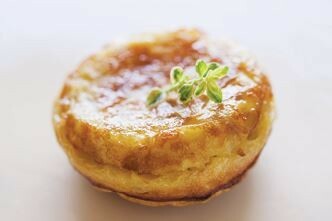 Don't stint on the fresh thyme; this won't be the same with dried. Not a winner for us. I really disliked the curried walnuts, so much so that we didn't use them. In terms of the other components, I substituted arugula for the endive as I find it too bitter, but then I found the salad a bit boring. Overall I would likely try other variations of this as it has promise, but not based on this recipe. First, let me say that this was not the best soup to try to bend to vegetarian. Without the bacon, the garlic became the dominant flavor. Nevertheless, it was a delightful mixture of fresh vegetables, and seemed spring-like on this dark and wintery day. So simple, but amazingly refreshing. Since 1995, students have waited months and sometimes years for the privilege of learning to cook with Patricia Wells at Chanteduc, her eighteenth-century Provençal farmhouse, and at her Parisian cooking studio. Now, the culinary legend invites home cooks into her life in France, making the recipes from her popular classes available to fans who dream of embarking on their own gastronomic adventure in the world's culinary capital. Beautifully designed and lavishly illustrated with stunning color photographs, The French Kitchen Cookbook offers simple yet profound pleasures to Patricia's students: the satisfaction of preparing a perfect fruit tart; the gratification of extracting a warm, fragrant, golden brioche from the oven; the giddiness of sharing a meal with a group of former strangers who quickly become lifelong friends. Patricia's meticulously written recipes explain the basics—rules that will help anyone become a better cook—while providing the deep satisfaction that comes from creating exquisite food that extracts the best of fresh ingredients. Here are some of her best recipes for appetizers, desserts, and everything in between, dishes inspired by the vibrant Provençal countryside and the bustle of Parisian life, including Miniature Onion and Goat Cheese Tatins, Zucchini and Basil Velouté, Fricassée of Chicken with Fennel, Capers, Tomatoes and Sausage, and Apricot and Lavender Honey Sorbet. 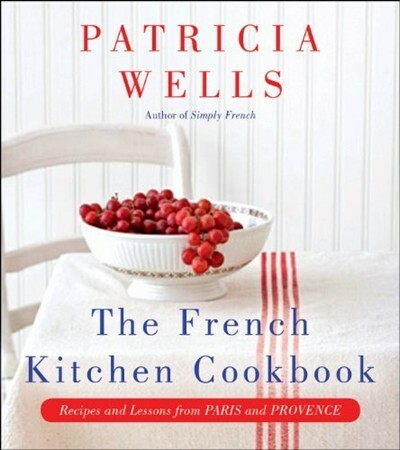 "The French Kitchen Cookbook is about a way of life and a lifestyle of food and entertaining," Patricia writes. "It is all about the joys of combining good food, good wine, and friends altogether around the table—an experience we can enjoy day in and day out, any time."